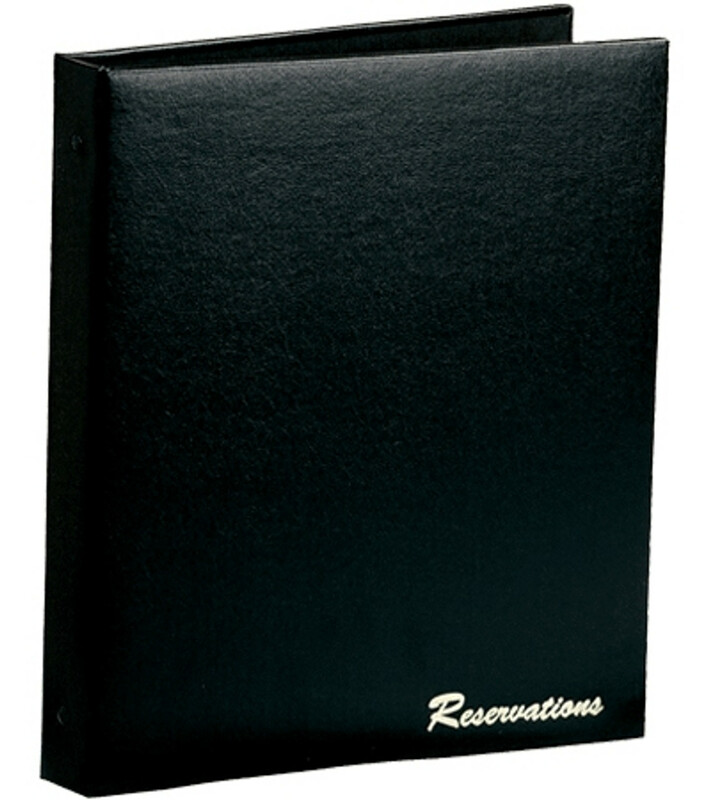 Reservation Books features three ring binder construction. Stay organized in style with our beautiful reservation books and reservation filler pages. "Reservations" is foil stamped on the front lower right corner. There are no custom imprinting options for this product. Reservation sheets are sold separately. Reservation book sheets are three hole punched and double sided. 50 sheets per pack.